Gaming on Android certainly seems to be here in full force these days. We just posted up a new title called The Marbians earlier for the new school kids on the block that should be a hit, and are back with one more for those of us born well before the 90s. 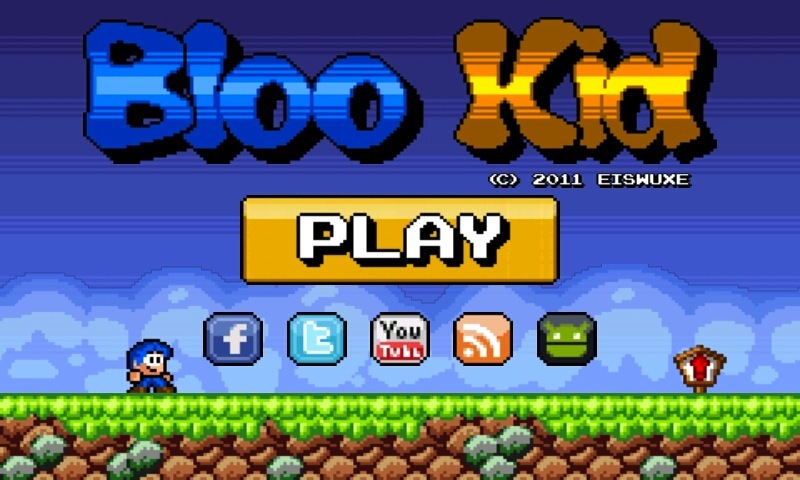 The developer is calling Bloo Kid a “retro-style arcade platformer with cute pixelart” which is fine and all; we’re just here to tell you that it is awesome. If you like the 3-star rating system that we have seen on games like Cut the Rope, Angry Birds, etc., then this will fill that void but in a much more interesting way. The idea is pretty simple. You jump on top of enemies to destroy them, try not to get hurt, and then collect a superstar at the end to finish up with a 3-star rating. There are dozens of different bad guys, 60 levels (with more on the way), and a soundtrack that is sure to bring back some memories.